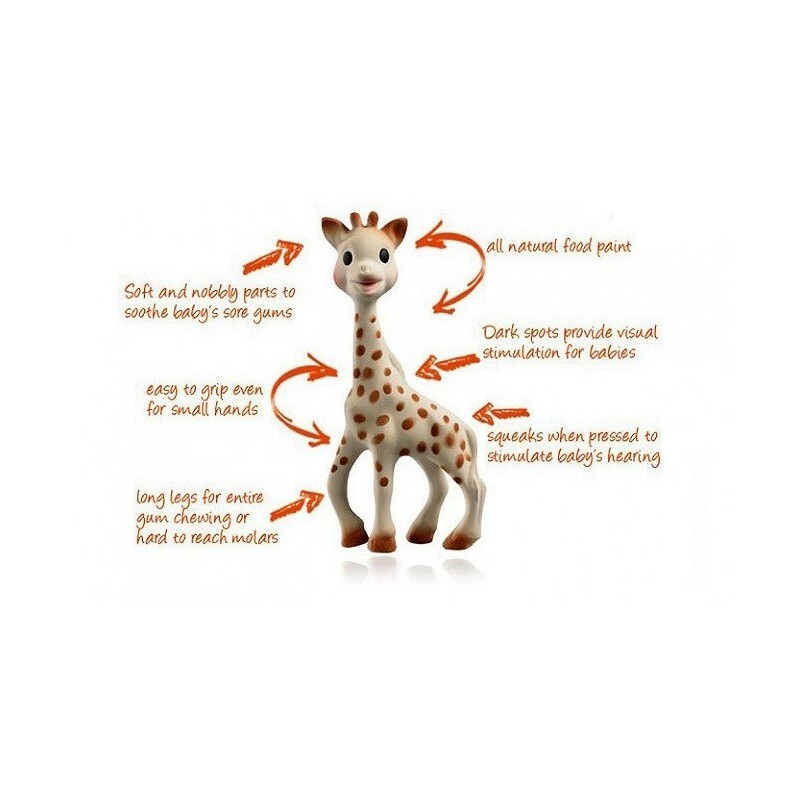 Sophie the Giraffe has been a favourite teething toy in France for more than 50 years. Made from flexible, renewable, natural rubber materials & non-toxic paint. See the video below on How Sophie is made. Flexible and soft, baby can squeeze and chew her. Designed to stimulate the senses and soothe teething gums. Comes in beautiful gift box with a Sophie the Giraffe "birth certificate". I bought this for my darling Granddaughter Christmas 2018.....She loves Sophie so much....and so did I when it arrived....really well made and just perfect for our baby. I have bought 3 or 4 of these for friends babies. They have all loved Sophie the Giraffe. It's one of my go to gifts and is always popular. I don't know what it is about this toy but babies LOVE it!! Everything about it. I haven't met a bub that doesn't love their Sophie. It's a must!